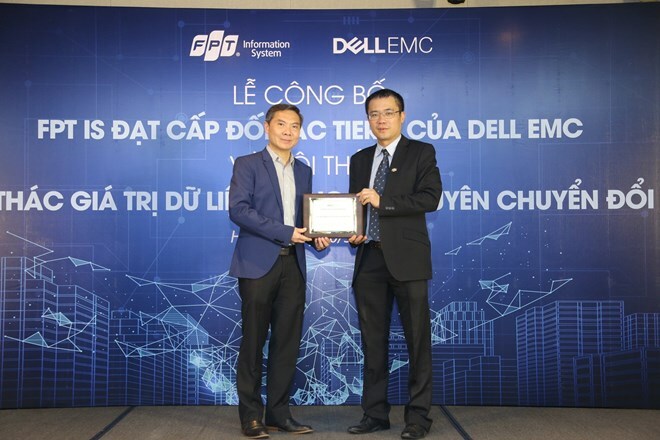 Hanoi (VNA) – FPT Information System (FPT IS), a subsidiary of Vietnam’s biggest software producer FPT Group, has become the highest-level partner of Dell EMC in storage solution. FPT IS is one of the very few partners in Asia-Pacific to win the recognition of Dell EMC, one of the two largest companies of Dell Technologies Inc. which specialises in infrastructure solutions. The Storage Tier 1 Authorised Solution Provider title enables FPT IS to directly receive equipment without the support of distributors as it did previously. FPT IS experts and engineers will access and transfer new, suitable solutions to customers, while providing consultation and implementation services. The Dell EMC Partner Programme represents the evolution of Dell EMC’s partnerships to better meet the needs of its business partners, with simplicity, predictability, and profitability throughout.